I use the metaphor, stories and decision making frameworks from high-performance team sport, specifically AFL, as a means of teaching and coaching leaders and their teams. I feel confident to do so because it is my background – my 30 year lived experience. I do not talk about the often referenced organisations such as Google, Apple, Tesla etc. because my understanding of those companies has come from someone else’s take, that has made its way to me via many voices and views. By the time it has got to me, what is real and what is myth, is impossible to know. That’s not to say there are not many ‘myths and legends’ in football given the enormous public interest in the sport, and the many people in the media professing their opinion on what coach, club and player should’ve done, mostly with the wisdom of hindsight, and what they should do next, understanding they will seldom be held accountable for this opinion. What everyone gets to judge is the performance of the team on the field on matchday and the column which was the W’s and L’s (i.e. the wins and loses). While clubs understand that they are ultimately accountable to the scoreboard, it can be a distraction for all but the few clubs who are in a position to win regularly enough to genuinely contend for the Premiership. Often expectations are ahead of capability, and poorly managed expectations can ruin clubs. The challenge of rebuilding momentum and confidence after a run of disappointing losses, knowing whether to hold a line or when to pivot, are the actions and decisions that can only be made by leaders working together. 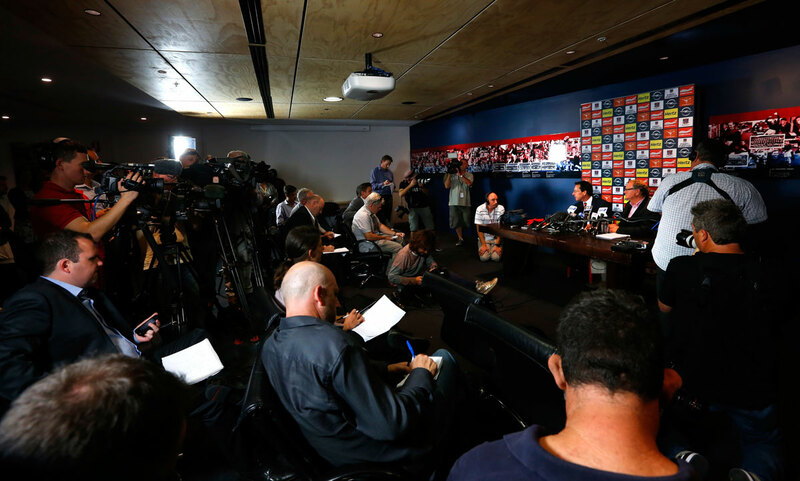 In the AFL, these leaders will not want for advice – there will be many voices from over the fence, thousands of column inches and other morphing media channels, both mainstream and social, analysing their progress. The noise can be deafening – and blinding. During these times, it is critical that the organisation has a firm understanding of its stage of development. To be in neither phase means you are in a strategic and performance wildnerness, stuck in the middle, likely to be teasing with the odd good performance that creates false hope and optimism, and a tendency to idealise prospects, as well as overestimating the capabilities of your talent base. A run of losses has the opposite effect, a black cloud soon descending and a sense of hopelessness and waning confidence stifling the capabilities of even the most talented. I call this place the “not knowing” phase, and it can be a familiar place for leaders as they seek to understand their organisation’s place in an unknown and unknowable future. This is an error I made on a number of occasions as an AFL club CEO, and not without consequence. I explain this framework in this video. These questions are particularly important when winning doesn’t look like winning, as it allows you to align ambition with capability, to establish expectations from which you can measure performance. You will then understand what phase you are in, manage the ‘noise’, align expectations across the organisation allowing you to make calm, thoughtful and purposeful decisions with confidence and belief. I teach this framework in our leadership workshops. It has proven to be very powerful. Please feel free to reach out and discuss your leadership and team needs with me.